An excursion with a jam-packed schedule! We will see the most beautiful attractions in Copenhagen, from the famous Little Mermaid to the Royal Palace, we will enjoy a canal cruise along the city’s picturesque canals and a visit to Tivoli Gardens, where we will enjoy a typical Danish lunch. 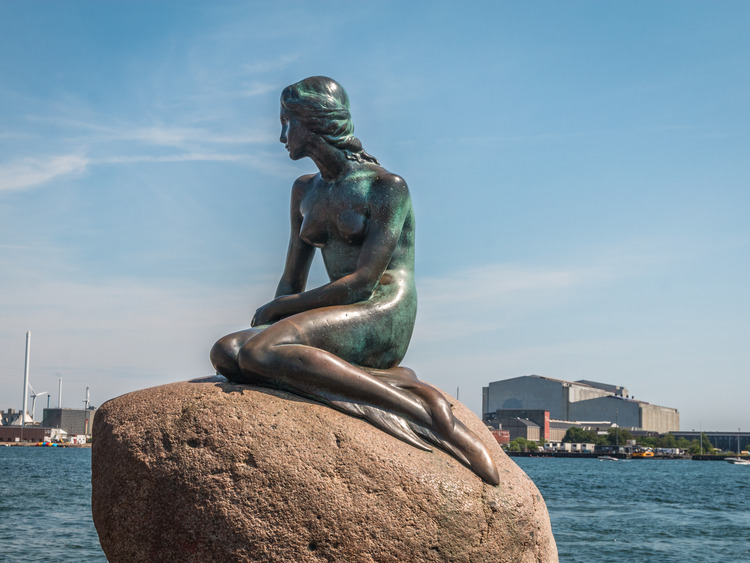 Our tour will take us to see the famous statue of Hans Christian Andersen's Little Mermaid. Since 1913, she has sat on the harbour rocks welcoming travellers from all over the world and inspiring them with her tale of love and sacrifice. We will then admire Amalienborg Palace, which comprises four identical buildings and has been the Danish royal family's base since 1794. It is guarded by soldiers in traditional bearskin hats and the centre of the square is home to the statue of King Frederick V on horseback, depicted as a Roman emperor, considered one of the most important equestrian statues in the world. We will hop on a boat and enjoy a cruise along the picturesque canals of Copenhagen, where floating houses share the water with sail boats and yachts. We then will enjoy the beautiful and one of the oldest amusement parks in the world, Tivoli Gardens, where we will have a tasty typical Danish lunch. After lunch you can explore the wonderful park on your own.